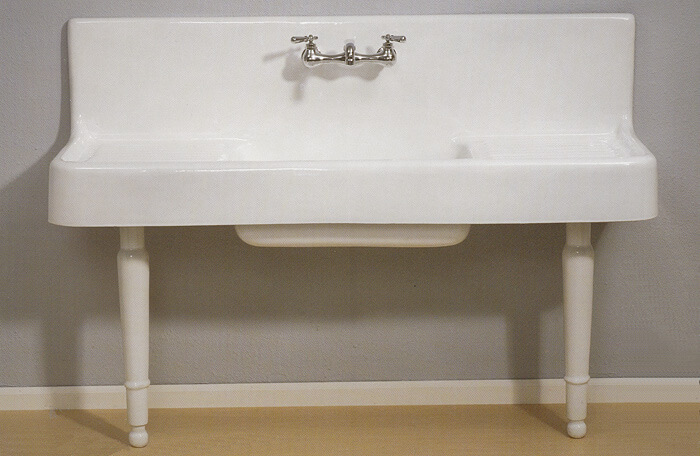 I did a ton of online searching to find the faucet that would be just right for my vintage Kohler sink. I had a one-hole installation, and wanted a single handle faucet as I think it’s a lot easier to control the hot/cold mix better. 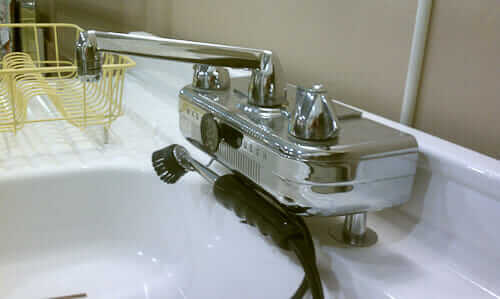 One problem that I found with most other faucets was that the spout was too short – like only 8″. Update: I can’t find my faucet on their website anymore, but here’s the website if you want to dig — is 10″ long. And, I’ll tell you — it’s a wonderful faucet. It’s not inexpensive, in the $300 range — but it has a tremendous “feel” — it’s nice and heavy and substantial. And considering that you use your kitchen faucet gazillions of times each day, I’ve always felt it was well, well worth it! Highly recommended! Hi Pam, I’m thinking of getting this faucet. Does it rotate? I mean, can you move it out of the way for larger pots, etc? I can’t tell from the product description on the website. Thanks! Woo! Mine. MIne. Mine. Thanks!! Sorry to ask such a dumb question so long after this post, but is your spout “fixed” or does it swivel? A lot of these pictures appear to be fixed spouts. And the Chicago Faucet website doesn’t show any single-hole faucets with swiveling spout. If the spout is fixed, how do you like it? Does it get in the way? 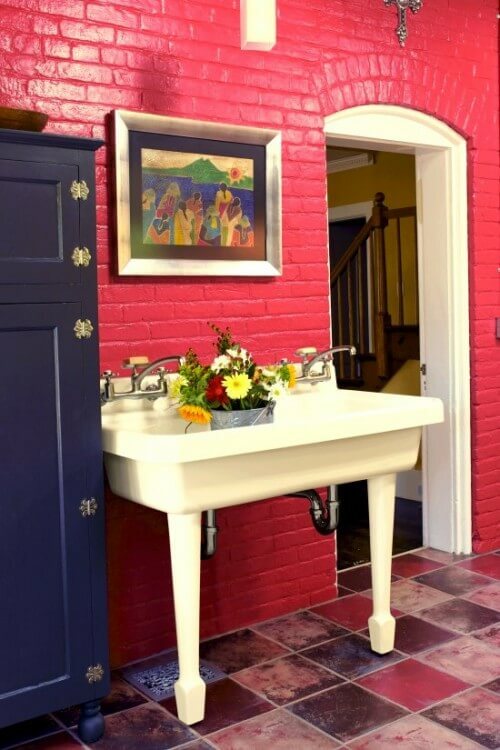 I’m worried that with a low arc faucet like this (beautiful though it is!) that the rigid faucet would prove problematic.